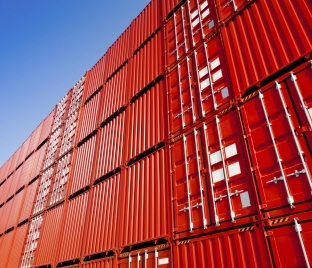 Each year, millions of shipping containers go in and out of sea ports worldwide. Securing these containers from theft and terrorism is a global priority. To help secure these valuable assets, Tamper Proof Global Systems invented fail-safe security solutions for shipping containers, infrastructure and pipelines. They then expanded their solution to the security of interstate commerce, including palletized goods and other high value items such as diamonds, currency and electronics. Their technology not only protects critical assets and valuable goods, but can also help strengthen national security. But before they could do that, Tamper Proof needed to secure its intellectual assets. For this highly complex and critical technology, Tamper Proof relied on Preti Flaherty’s legal guidance for patent approval. The unique liner they invented features special wire woven into fabric. The liner immediately triggers an alarm if it is disturbed any intrusion. The liner was uniquely developed with a special six-sided version for shipping containers—something no competitor has previously offered. Tamper Proof was ready to go into the global market, but needed to first protect their ideas. Our legal team counseled Tamper Proof in how to protect its technology including the preparation of patent applications and in trade secret protections for its manufacturing processes to protect this technology in the United States and Europe. Tamper Proof now has an expanding portfolio of issued patents and is positioned to offer their unique and innovative solutions worldwide.